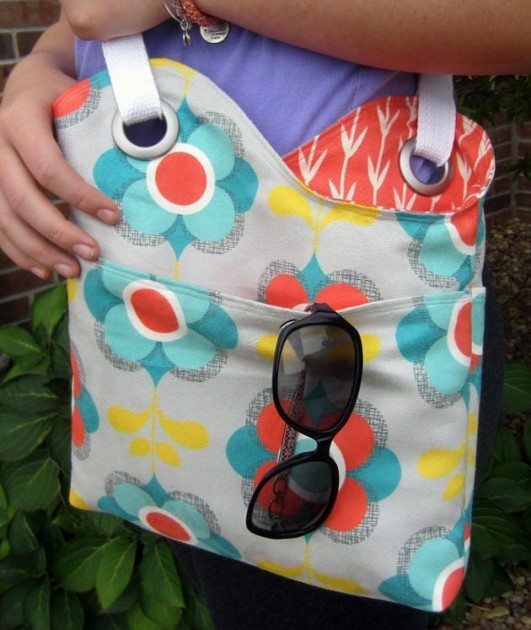 Start by selecting the Sidekick Sling Bag pattern. 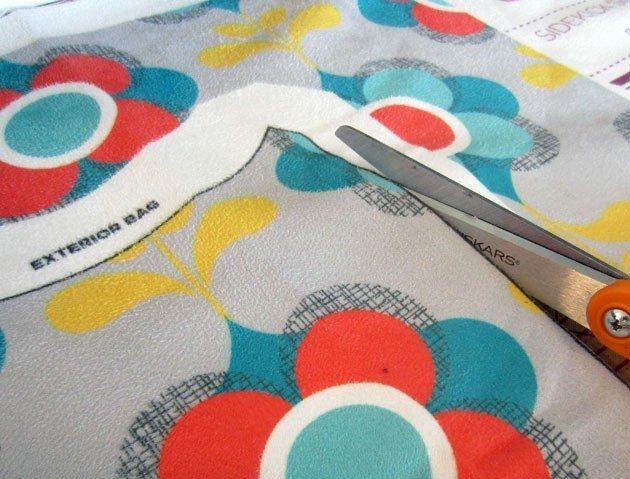 After you click on the “Search for Designs” button you can begin picking fabric designs for the exterior, exterior pocket (photo in Retro Pop Flower), and lining (photo in Winter Sprouts). Once you are finished, you’ll be able to see how your fabrics will work together using the 3-D model preview. You can even rotate the model so you can view it in all directions! Next, click the “Features” tab to select your base fabric, save your design (so you can make more), and add your project to your cart! 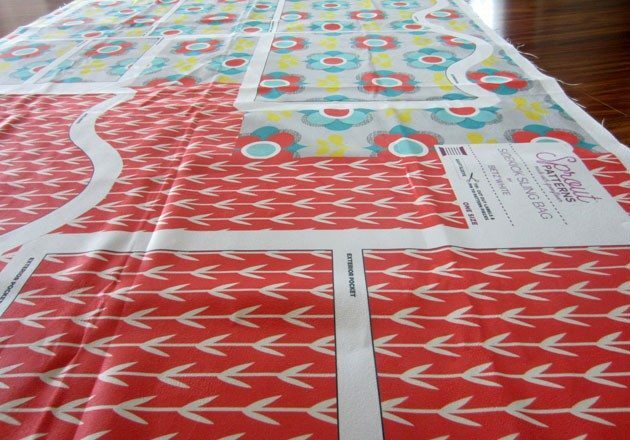 From there, you simply cut out your pieces (it’s a good idea to cut out the label and pin it to each piece for easy reference) and get to the fun part… SEWING! Not only did this quick, “cut & sew” method result in an instant gratification project (I was able to finish my bag in an afternoon and be able to use it for an evening out), but there was enough fabric “scraps” left over that I have enough to make a cute matching coin purse later! I had a great time with this project! The base fabric I used is Faux Suede. Overall, it was a pretty friendly material to work with and looks nice. I recommend increasing your stitch length for topstitching because of the weight and nap of the fabric. 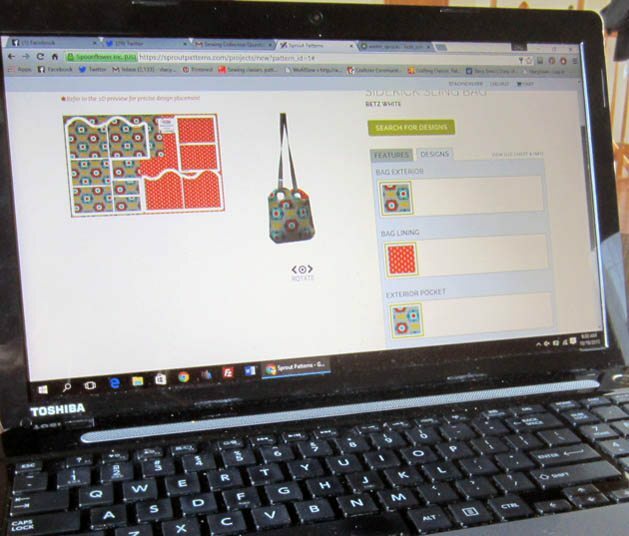 There are so many awesme bag combinations to be made with all of Spoonflower’s available material and getting to see how they will look together on the 3-D model is very helpful, especially if you have a difficult time envisioning how fabrics will blend together. Plus it was so easy to make, even a beginner can make this project with great results. My daughter saw me taking photos of the panel and was really intrigued so I think she may be making one herself. 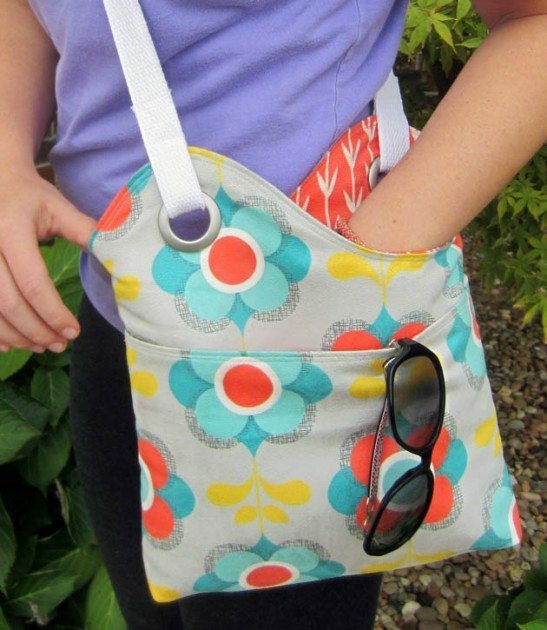 In fact, it was so quick and easy that I’m thinking everyone might be getting Sidekick Sling Bags this year for Christmas… in their favorite fabrics, of course! Thank you for the wonderful review, Stacy! So glad you enjoyed the Sprout experience!